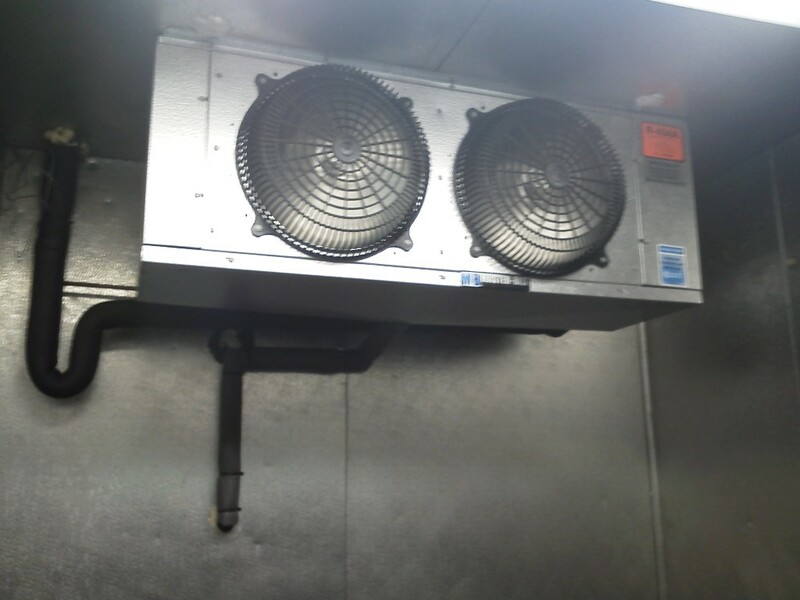 Walk-in-Cooler–Freezer - McDonald Refrigeration, Inc. Walk-in-Cooler–Freezer – McDonald Refrigeration, Inc. 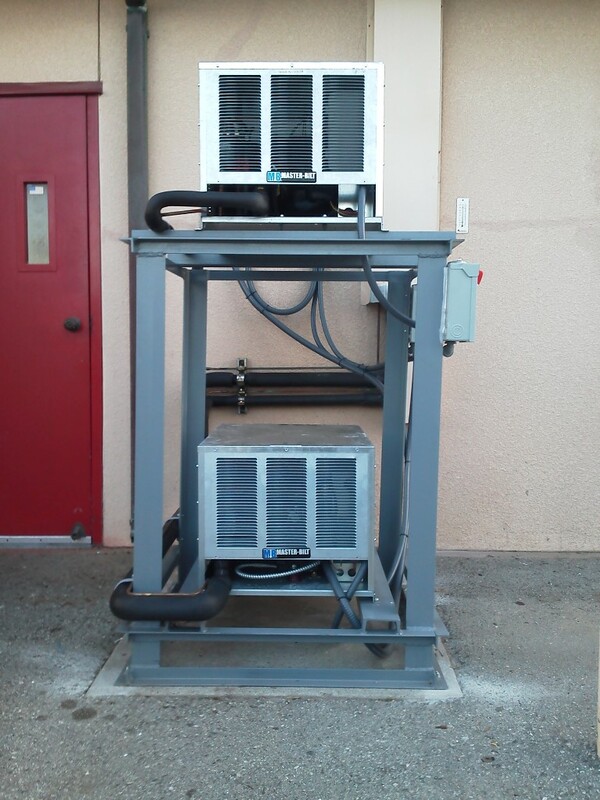 Existing equipment was replaced and upgraded to a new system that features energy efficient ECM fan motors with speed controllers to reduce energy usage up to 35%. 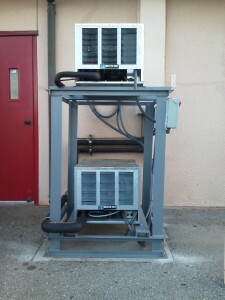 System is controlled by two condensing units mounted to a custom made rack. Copeland Semi-hermetic R404-a compressor controls the freezer, and a Copeland hermetic R404-A compressor controls the cooler. 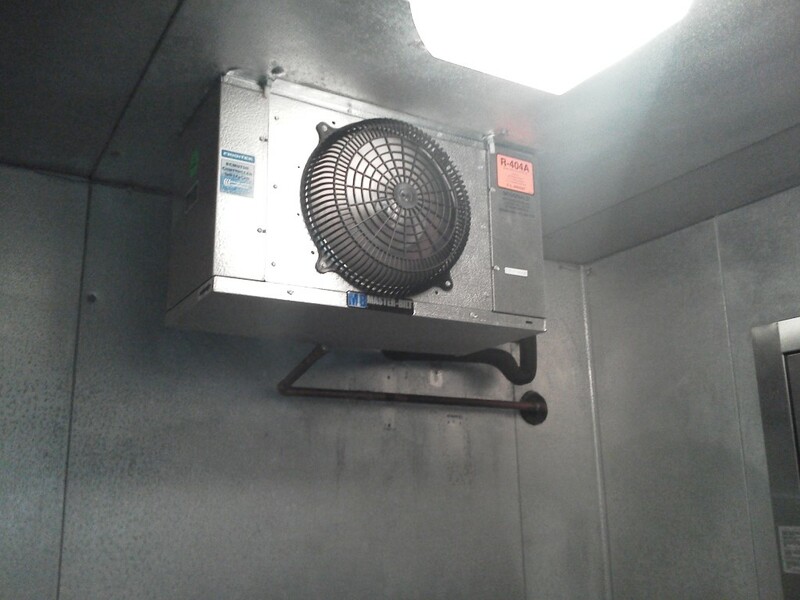 ECMotor Controller functions by sensing the operational status of the refrigeration system— either cooling or idle. When the system is cooling, the Controller operates the evaporator fans at normal high speed. When the thermostat set point is reached and the cooling system goes to idle mode, the Controller switches the EC motors to low speed, reducing heat 97% and energy consumption by 95%.